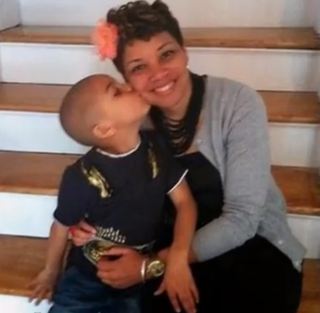 A New Jersey mother and her 8-year-old son were killed late Sunday night in a house fire, CBS2 reports. Authorities believe that Tanji Dewberry, 37, was attempting to save her son, Evan Soler, from the fire that was allegedly sparked from an electrical problem in the young boy’s bedroom, where both bodies were discovered. Authorities think that Dewberry was trying to save Evan. The fire started at about 11:30 p.m in Orange, N.J. A witness, who saw the flames and called 911, tried to alert the home’s occupants by banging on the door, according to the news station, but there was no response from inside. Dewberry, who was the vice president at a New York investment firm, also wrote her first book, Oh Fiddlesticks!, in 2012. It was inspired by Evan’s diagnosis of attention deficit disorder back in 2011. CBS2 spoke to the boy’s grief-stricken father, Virgilio Soler, who did not live with the boy and Dewberry. Soler said that the house did have smoke detectors, but officials aren’t sure whether they were working. Foul play is not suspected at this time, but authorities have yet to determine the cause of the fatal fire, and the investigation is ongoing.